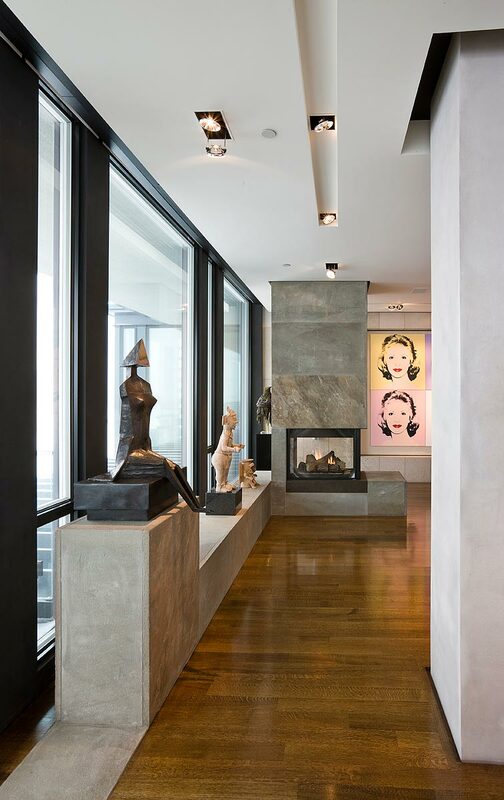 The design of this home is intended to maximize the daylight established by the floor to ceiling glass, and to celebrate the panoramic views of the city. 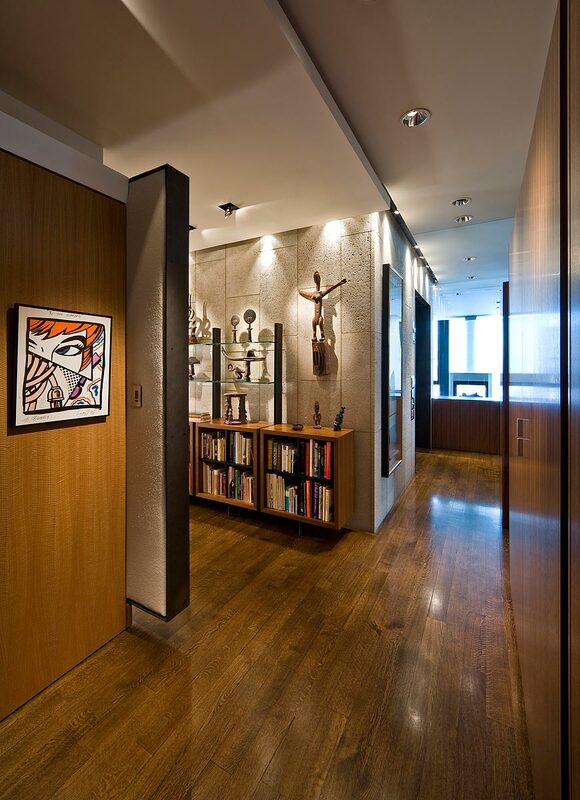 The space is organized without walls, but by edges of differing wood cabinet elements that organize the spaces, but do not enclose. 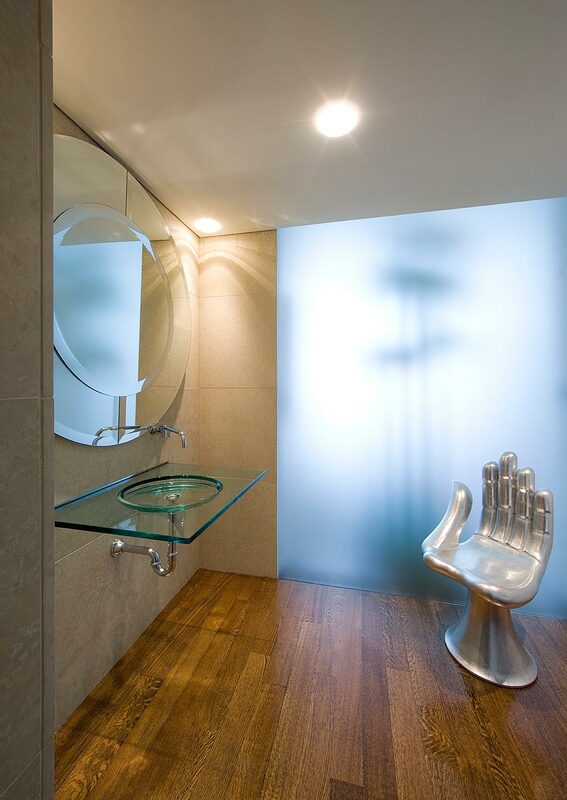 Private spaces such as bathrooms are treated as small stone masses within the space that do not reach the ceiling. 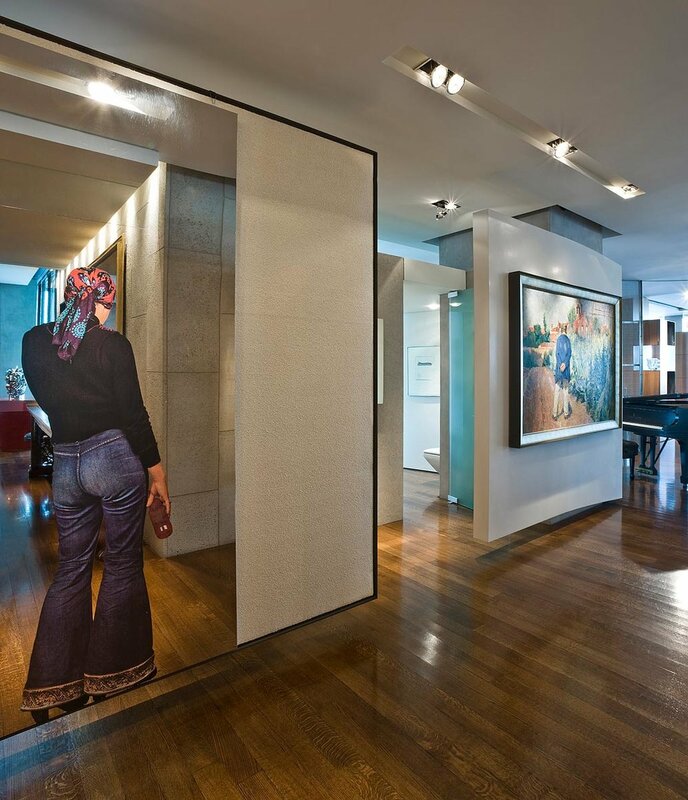 Floating wall planes organize the circulation from the master suite to the living area. Within the living area, hanging panels of curved stainless steel mesh and marble dust plaster define the dining room or roll away to open the entire living area for entertainment flexibility. 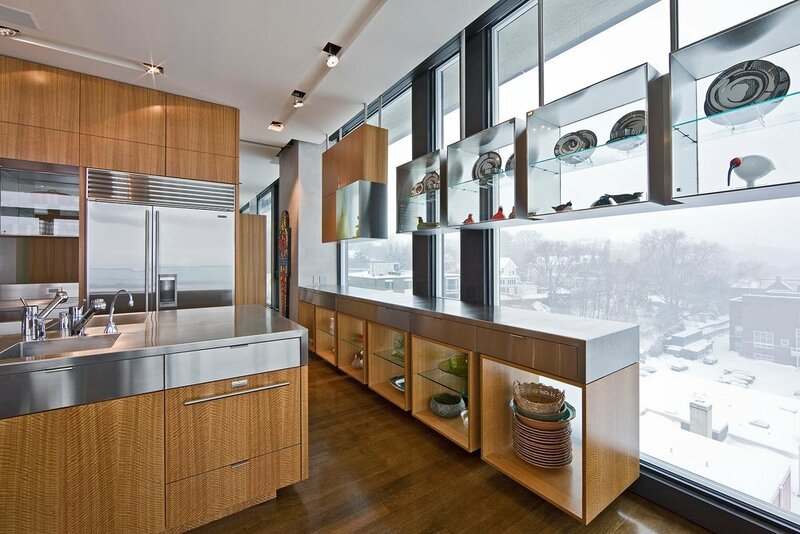 As well, the kitchen can be entirely open or enclosed by translucent glass doors. 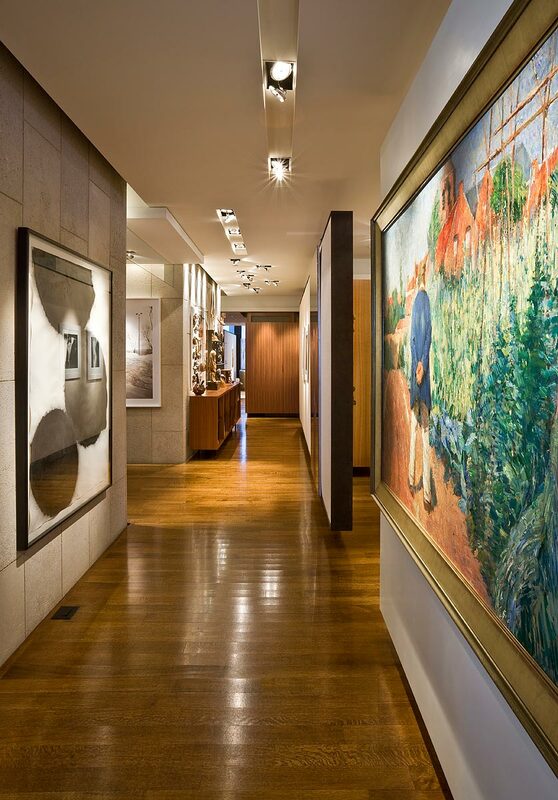 The owner’s art collection is carefully organized and integrated within the sculptural elements of the architecture, creating a seamless integration. The exterior terraces incorporate stainless planters of perennials and ornamental grasses.